Born and raised in Lubbock, Texas, this softball queen knew she wanted to be in the healthcare field ever since she attended a medical magnet program in high school. 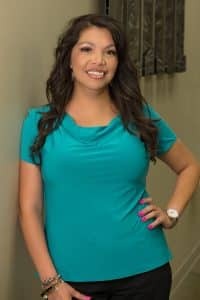 Yoli has lived in the Dallas-Fort Worth Area for more than 15 years and has worked in a variety of fields including wound care, physical therapy and pediatrics. While one may think her true talent is office management and medical billing, this mom of six is really amazing at laundry (uniform washing at home and towel re-folder at work). After seeing her father experience dramatic results from plastic surgery after a life-threatening injury, Yoli had a calling to join the rewarding field of plastic surgery. While Cindy is amazing at many aesthetic treatments, she is best known as the “laser guru” at our office. 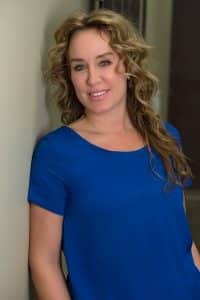 After living in South Florida for nine years, she moved back home to be closer to family and attend the Aesthetic Laser Academy in Dallas, Texas. For almost two years, she worked at the Aesthetic Laser Academy learning the latest in industry technology. Cindy has a gift of making all of her patients feel comfortable and safe. As an expert in all our skin care products, she individually consults with each of our patients to create a customized skin care treatment plan. Cindy enjoys making women feel beautiful with a variety of procedures (while making them laugh at her hilarious and witty jokes).